I know, I know, it’s no shock to see another matte liquid lipstick from the Lime Crime Velvetines collection on my blog… and if you’ve read any of my old reviews, you’ll know where this one is heading. To round-up my thoughts on the Velvetines range… it is honestly THE best matte liquid lipstick formulation I have ever tried. It dries fast, delivers incredible pigmentation, requires minimal application and the colour range is extremely versatile. It’s also really affordable, which is a massive added bonus. Besides this, I wanted to point out the fact that the shade ‘True Love‘ is on ANOTHER LEVEL. It’s literally the PERFECT matte lipstick if you’ve been looking for a vibrant red (that has a slightly pink tinge) to team with dramatic black flicks. 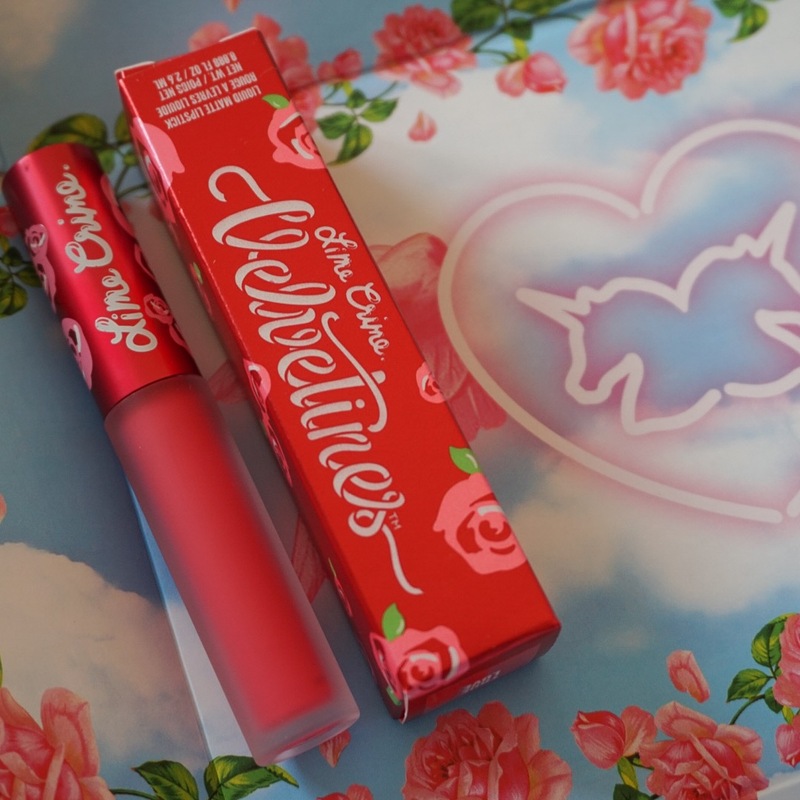 I must admit, I was even more impressed with True Love than Polly and Cupid – two of my go-to Velvetines lipsticks (a scenario I didn’t anticipate, considering how much I love both). The pigmentation seemed even more refined than usual, meaning that reapplication wasn’t a constant worry. So you can say bye bye to the nagging concerns which you normally face when wearing a bold red lippie on a busy, working day. It’s safe to say that this lipstick stood the test of time, with only a few minor touch-ups required. i’d never have the confidence to wear this color haha, but it looks amazing on you and i really do love their formulas! Such a gorgeous shade, in love with the Velvetines collection.